Back in October, Nintendo introduced Miitomo, its first smartphone "game" in partnership with DeNA. Miitomo isn't so much a game as it is a way for people to communicate. DeNA CEO Isao Moriyasu recently told the Wall Street Journal that Miitomo has that Nintendo feel. "There’s that distinct Nintendo feel to the game that gives you a certain comfort and nostalgia," says the executive. "The user interface, feel and sound—it’s all very Nintendo." Miitomo will work with Nintendo's new membership service, and eventually there will be five games (mini-games according to Moriyasu) that users will be able to play. The CEO characterizes the title as a game that can be used to "communicate with friends." This communication is done using avatar-like Miis that users can create in their image. Because it is not totally a text-based communication tool, conversations look and feel different. Those using Miitomo will be able to purchase clothes for their Miis, which is one way that Nintendo plans on monetizing the game. The video game company has some pretty big names as partners in the project, including Bandai Namco and Disney. Considering that both firms don't get involved with something that doesn't have the prospect of making huge profits, it would appear that there are high hopes that this will succeed. 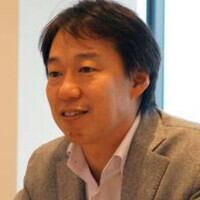 Nintendo plans on marketing the app in the beginning of the year, and it will be launched in March. It might not be the red hot smartphone game that everyone was hoping for from Nintendo, but it is a start. as long as i can sign in with my nintendo Id the same one i use on my wii u its all good. I think they will put that, they're aiming to unify all devices with one account. I don't see why they wouldn't. Expecting some nice things from this in the way of social networking between Nintendo gamers. Don't really care too much either way about smart phone games, they are the snack food of gaming. You're simply not getting a true meal out of them no matter how good it is. What a joke, they just want money for DLC for a chatting app and are using nostalgia to get it. Typical Nintendo. Gave up on them years ago. No different than buying freaking...stickers or emojis or whatever else from Kik or Whatsapp or whatever else, but you don't complain about that. And do tell what nostalgia they are using to sell this free app? You seem to know more than anyone else does at this point, apparently. Nintendo's here to stay, bud, with or without you. Isao Moriyasu recently told the Wall Street Journal that Miitomo has that Nintendo feel. "There’s that distinct Nintendo feel to the game that gives you a certain comfort and nostalgia," He guy who's company is making the game said it himself, maybe read the article next time. Also in app purchases of stickers etc is exactly what is considered low, that's how in app purchases got their bad reputation, it's garbage. Nintendo going after such shows how low they have gone. Nintendo did so bad in the console arena that they had no choice but to come to mobiles and the causal market moved to phones and tablets. They themselves said they didn't want to come to mobile but now they've had to eat their own words. Many companies have been forced to eat thier own words. Have a look at Apple's "no one is going to buy a big phone" and "no one wants a stylus"!! Except that the nearly all smartphone apps have in app purchases, so are they all low? It's simply following the mobile app business model. Even then, I'm feeling like Nintendo's put DeNA in charge of this whole project more than anything, so they'll be the ones making the decisions for the most part. You have to be joking if you really believe Nintendo was forced to do this because of poor console sales. It's unbelievable how many people think that and how many times I have to explain this. Do you honestly believe that Nintendo is depending on the success of this little venture of theirs? It's more of a side project than anything else, something to shut up all those people who kept crying for mobile. Well now those people have been answered and meanwhile Nintendo continues to put their full focus on real gaming, consoles, handhelds, and their own software. The move to mobile is such a minor project that they even let another company take the reins for the most part. So trust me, Nintendo isn't counting on the success of these apps. The apps could fail for all they care and they could and would continue as usual.